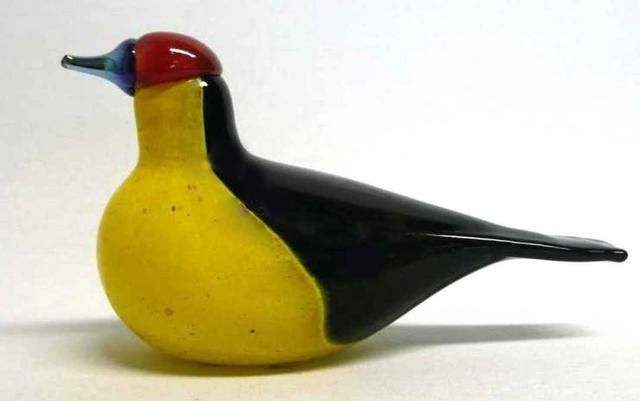 More about iittala Toikka Western Tanager Created exclusively for the Museum of Glass in Tacoma, this 9th annual bird celebrates the avian summer visitor to Tacoma and the only tanagers to be found regularly in Washington. 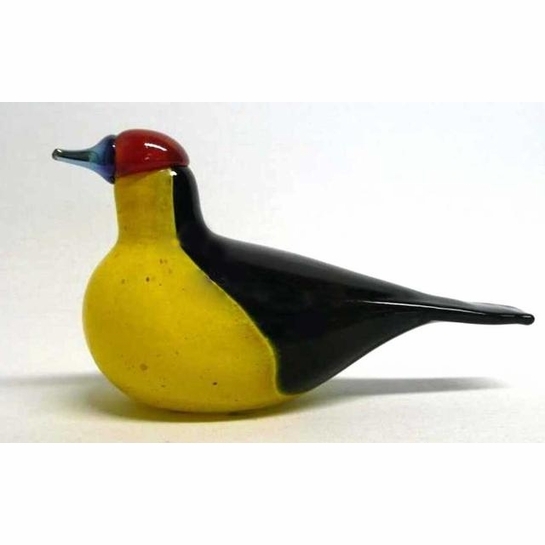 The iittala Toikka Western Tanager is modeled after the adult bird, with its striking red, yellow, blue and black features. A bold and summery lemon yellow fills the bird's breast, flecked with spots of brown. The Tanager's jet black and glossy tail leads up to a red head and blue gradient beak. Very faintly etched on its base is "O Toikka Nuutaj�rvi" and each bird's respective number out of 253, this limited edition bird is a sight to behold.